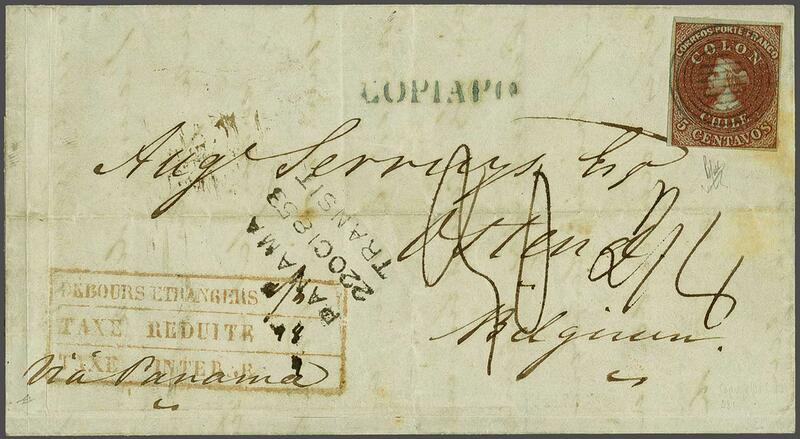 London Printing 1853 (July 1): 5 c. red-brown on blued paper, a fine used example with ample to large margins all round, used on 3 October 1853 second sheet of entire letter from Copiapo to Ostende, Belgium tied by seven barred target handstamp struck in blue with straight line COPIAPO despatch handstamp adjacent in same ink. Three line dated PANAMA / TRANSIT in black (Oct 22) and cover rated at 2/8 d. due to pay in manuscript. Forwarded on from London (Nov 18) with red cds on reverse, to Ostende where struck with 'rate box' (Debours Étrangers / Taxe Reduite / Taxe Inter B') in red for the amount due to pay and '30' (décimes) noted in manuscript. An extraordinarily rare destination for Chilean first issue covers and a classic cover of great visual appeal. Cert. 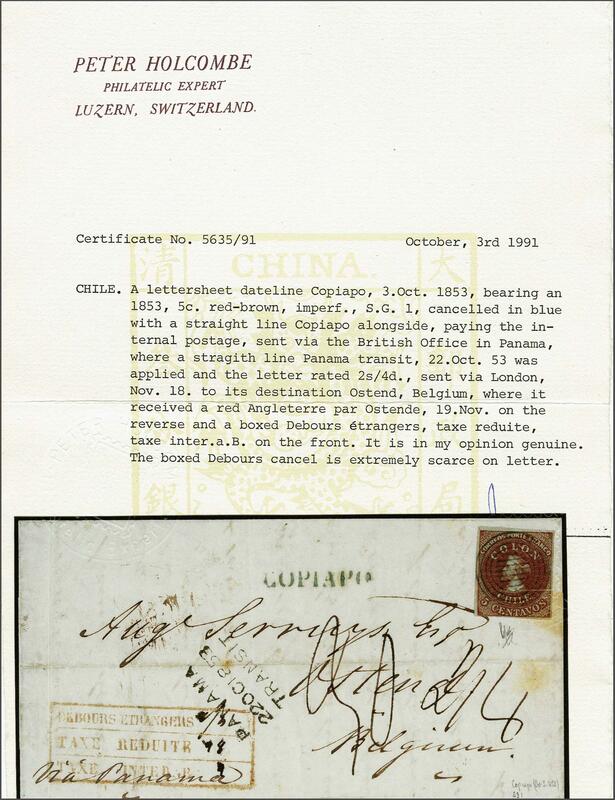 Holcombe (1991).rnProvenance: Corinphila sale 90, Oct 1994, lot 6294.